Dr. Atri discusses the role of imaging for the evaluation of acute lower quadrant pain. This talk is divided in focus between causes that produce acute pain in the right lower quadrant (acute appendicitis), and left lower quadrant (acute diverticulitis), as well diseases that affect both the right and left lower quadrant. Dr. Rogalla discusses the recent technical advances in Multi-Detector CT as it pertains to potential dose reduction. Improvements in dose efficiency are reviewed with regards to photon counting detectors, x-ray tubes and reconstruction techniques, detector efficiency, x-ray beam filters, better active shielding, electronics (DAS), and optimization of image filters. Dr. Tan begins with a breakdown of TASC II classification for peripheral arterial disease, as well as a review of the TASC treatment recommendations. He then covers the protocol and procedure of aorta-iliac intervention at UHN. 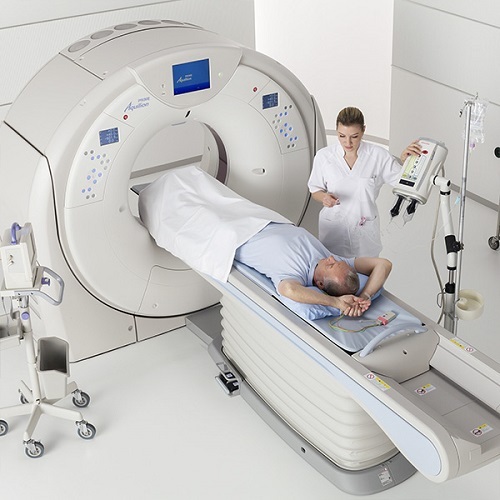 The key scientific concepts of MRI diffusion and perfusion and their clinical relevance. Concepts within diffusion-weighted and dynamic susceptibility weighted contrast-enhanced MR perfusion.